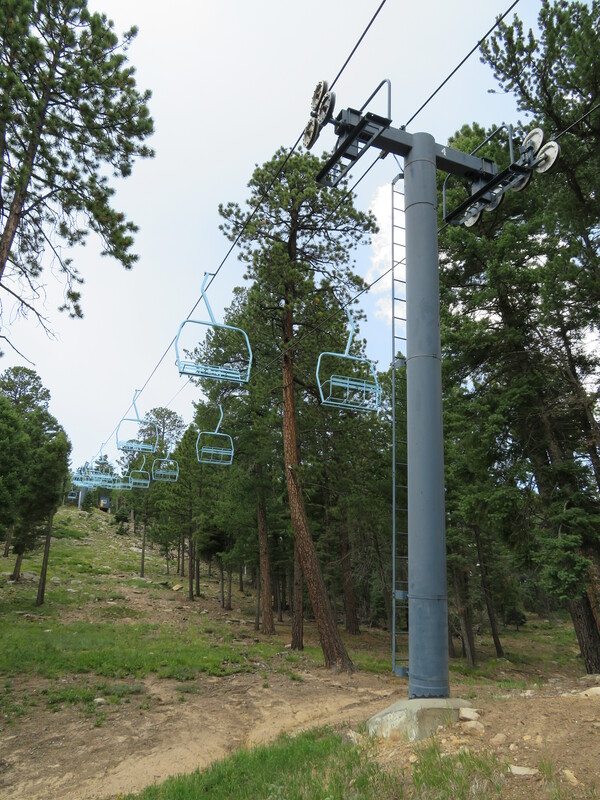 This late model Riblet serves the new summit of Sipapu. 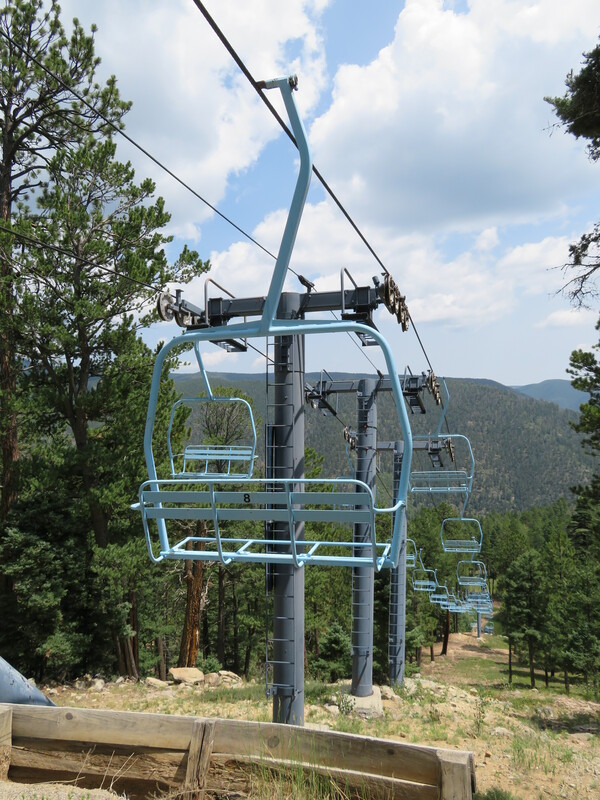 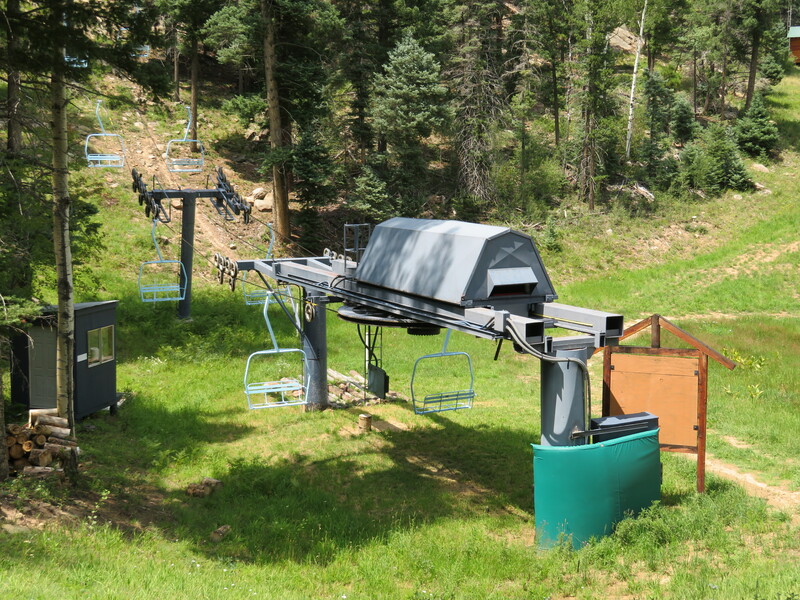 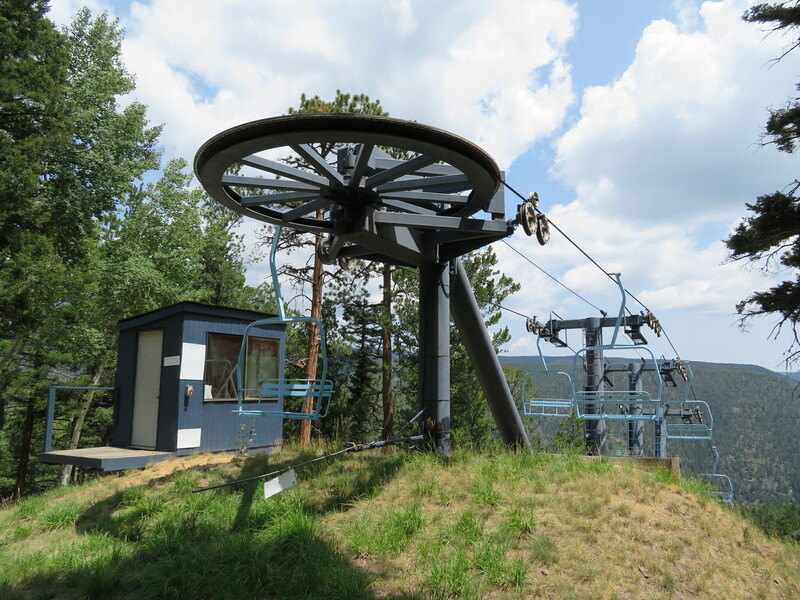 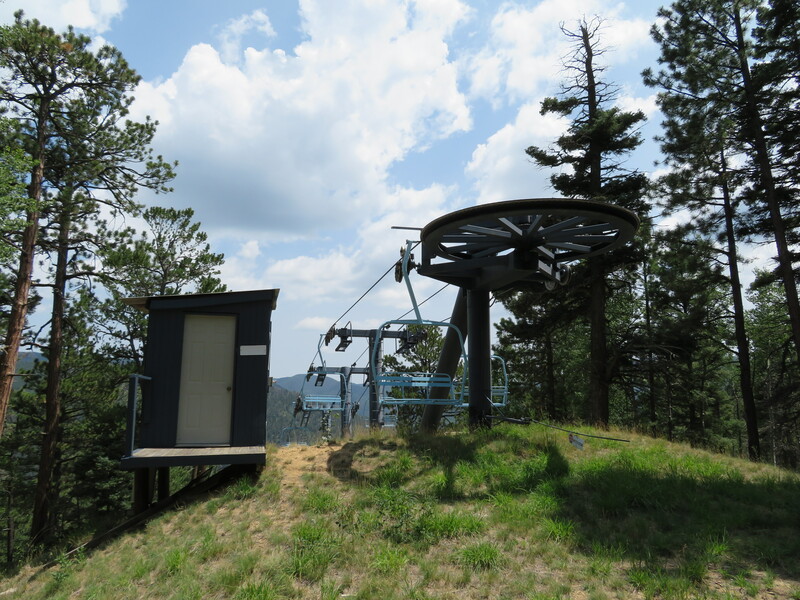 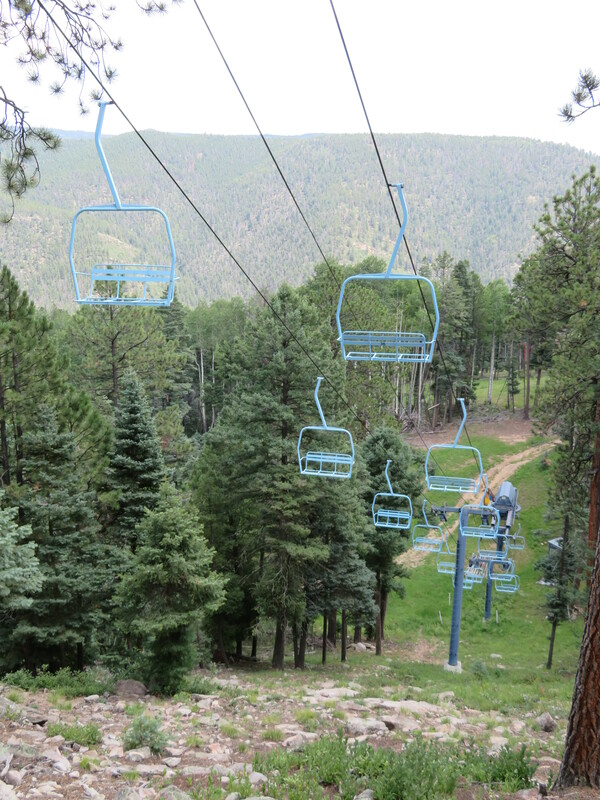 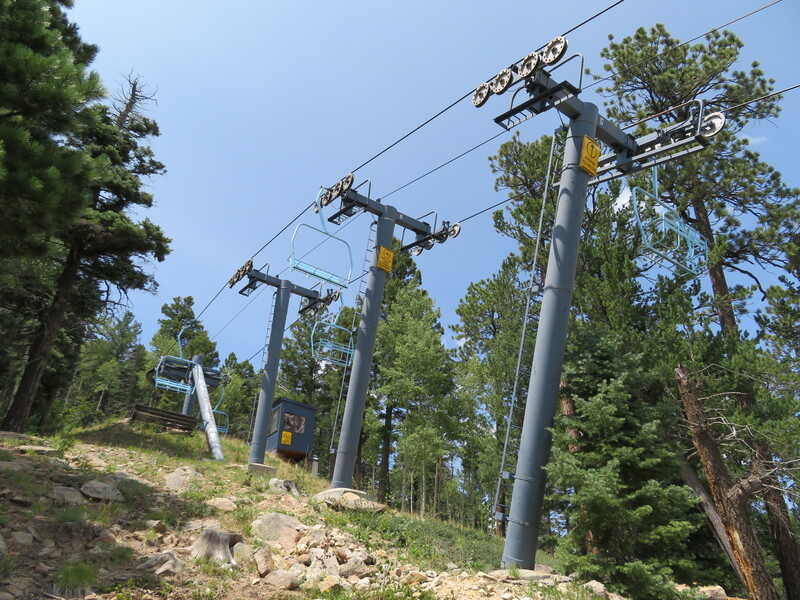 The lift is quite short and does not go all the way to the top of the actual mountain. 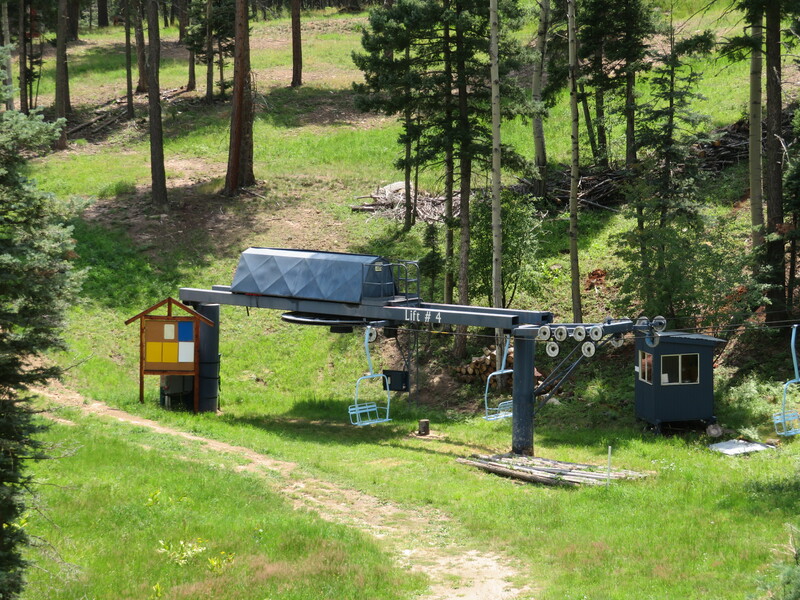 Drive terminal with a compact motor room. 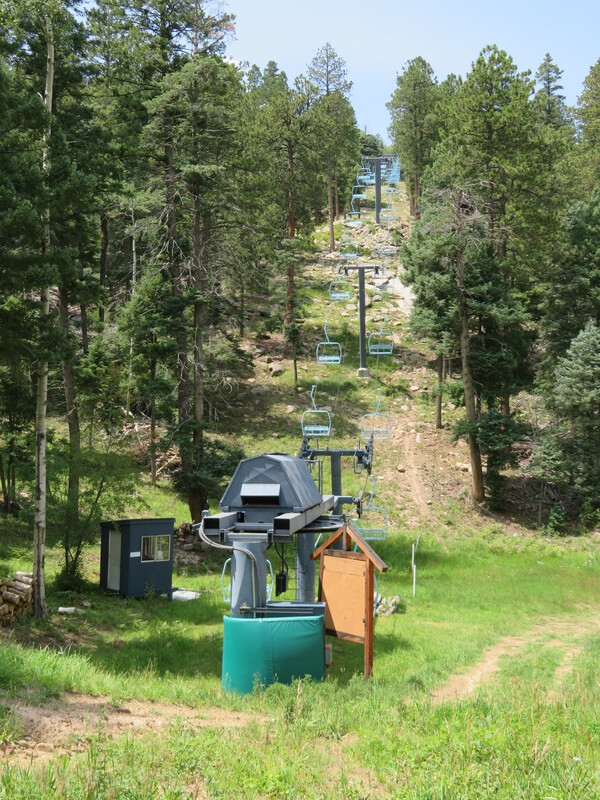 First section of the lift line.